I've been to Bohol countless times, but it was only on my last trip that I was able to go to Bohol Bee Farm. On our way back to Cebu, we decided to have lunch at Bohol Bee Farm since our trip is still scheduled at 4pm. After checking out from Dumaluan Beach Resort at noon, we arranged for a taxi that would take us to Bohol Bee Farm then to the pier afterwards. The first thing that you see when you enter the Bohol Bee Farm compound are actually their gardens. The Bohol Bee Farm serves its own harvests from this farm. When you get to the main venue, a souvenir shop greets you. With their colorful displays, you will definitely be encouraged to stop and look at the items. Since we were hungry at that time, we glanced over the selections and proceeded to the dining area located downhill. The entrance to the dining area is a mini preview of what's in store. 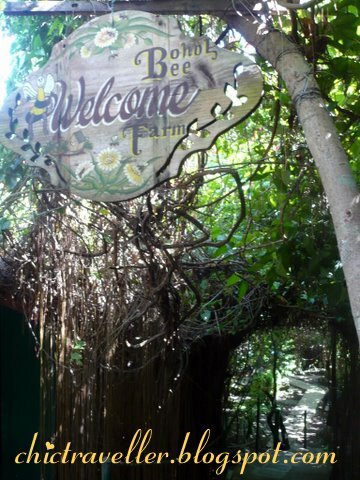 The welcome sign to Bohol Bee Farm is followed by well-arranged vines that form an arc, soothing in sight to the Bohol Bee Farm guests. 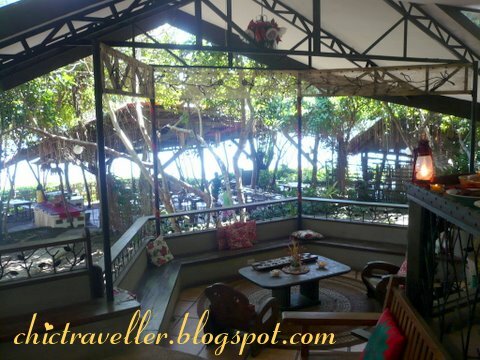 The Bohol Bee Farm dining area is open air and very welcoming. When we arrived, there were a lot of Korean tourists and they were having buffet for lunch. We proceeded further to get a table overlooking the sea. While we were waiting for our food, we took our chance to explore the place. I think Bohol Bee Farm is really designed with the comfort of their guests in mind. There were a lot of comfortable seats to sink and relax in. 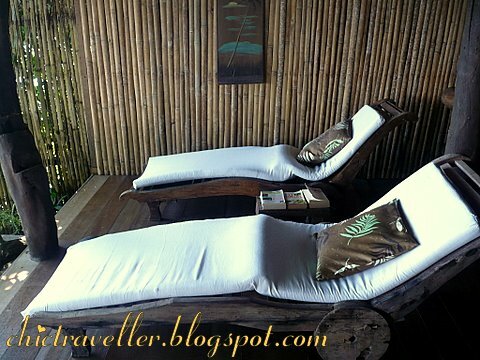 They even have hammocks nearby, allowing the guests to lie down and rest. On my first visit, I saw that Bohol Bee Farm is an amazing place and I know that there still are lots of interesting things to see there. It's too bad that I only had a few hours to spend in that place on my first visit to the famous Bohol Bee Farm. I'd definitely be back there again. Aside from the great venue, Bohol Bee Farm serves excellent, EXCELLENT food in my opinion. I'm very excited to share the pics and my story with you guys tonight. However, I would have to reserve the details of my food experience in Bohol Bee Farm for a separate entry, simply because I think it truly deserves its own spotlight. Bohol does not have a lot of public transportation options for their travellers. To get to Bohol Bee Farm, hire a taxi from your resort. They usually charge double the meter and a certain fee for waiting while you're at the venue. Talk to the driver to make sure you get a good rate. never been to a bee farm before. thank you for bringing us there. you mentioned that the food is great! thats enough to convince me to visit that place! Never been here but I love their organic jams and breads which my sister gave us as pasalubong the last time she went there.